Alabama recently filed a lawsuit against the Department of Commerce and the Bureau of the Census to cut illegal immigrants from the 2020 census. The complaint, filed in federal court on Monday, argues that under existing rules, congressional seats are apportioned by the total number of people—which currently includes illegal immigrants. “Those states that have the highest concentrations of illegal aliens are gaining seats at the expense of states like Alabama, which stands to lose one of its seven existing representatives,” a report from the Center for Immigration Students (CIS) stated. The report alludes that Alabama’s loss would most likely be attributed to the state of California, which it noted already has 53 seats in the House of Representatives, and that the seats could grow proportionally as the population of illegal immigrants increases. 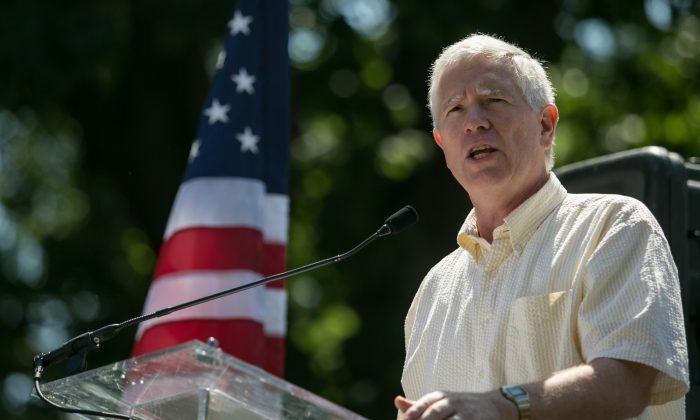 The complaint, filed by Rep. Mo Brooks (R-Ala.) and the state of Alabama, called the decision to include illegal immigrants “unlawful,” adding that the current Residence Rule breaches the federal government’s constitutional obligation to run an “actual enumeration” of the people in each state. The suit is one of the latest centering on the issue of illegal immigration in the United States. These aliens are usually seen as potential future voters for the Democratic Party. It comes as the Trump administration pushes for stronger enforcement of border laws as thousands of illegal immigrants, mostly from Mexico and Central America, continue to unlawfully cross the southern border. CIS also noted that at the same time, California is trying to gain even more through a bill that would grant the immigrants medical care, which is still at the proposal stage. “California, becoming one of the few heavyweights in the House of Representatives, would likely be able to leverage its over-representation into bailouts and pork in future appropriations bills to offset the expense,” the report states. The Department of Justice had reportedly pushed for the inclusion of the question, arguing that it would help the department detect violations of the Voting Rights Act.